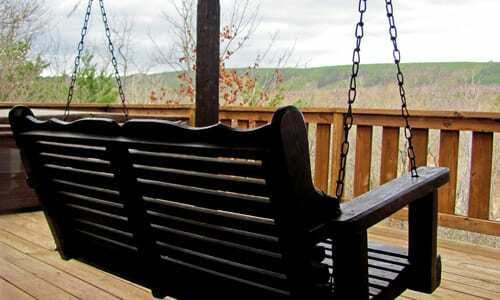 Eagle Creek Escape Guest Cabins became a dream come true after 17 years of visiting Eagle Creek for Dennis and Rhonda Hendrix of Milburn, Oklahoma. They were given the opportunity to purchase 7 of the cabins previously managed by “The Reserve,” just to be alone away from the kids and pressures of a busy lifestyle. Motels, hotels, state parks and other accommodations were disappointing. With the noise and crowds, they simply didn’t offer what they were looking for. They never wanted to leave once there and wanted to share this beautiful property with others. It was at this point when the cottages came up for sale they jumped at the chance. It was in the small community of Octavia, a town that is no more, in the mountain of Southeastern Oklahoma that a dream came true. Nine years later we are still here and have finished purchasing the entire resort. Beginning this month of December 2017 (as a return guest), you will see a lot of exterior and interior changes in our lovely cabins. The Lodge will also be offering Bed & Breakfast Services shortly. We want to thank all the many friends God has blessed us with over these past years and we pray many more to come. Our most important prayer is that your relationships and marriages will be just as blessed as ours (in this remarkable and unbelievable place) He has provided to us all; for RECONNECTION.